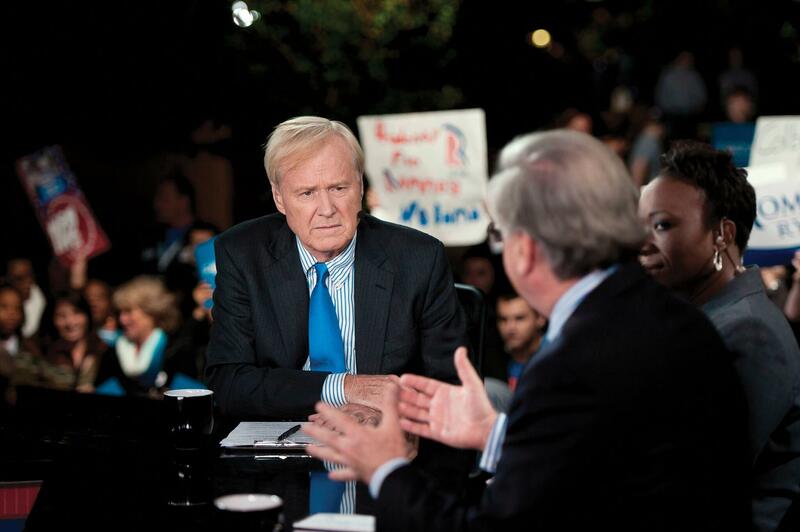 Renowned author, television host, and political commentator Chris Matthews will appear in Erie on Thursday, Nov. 15 at Gannon's Hammermill Center as part of The Jefferson Educational Society's Global Summit X.
Chris Matthews arrived on the TV scene after years of working as a close aide to former Speaker of the House, Tip O'Neill, during the years of the Reagan presidency, and 15 years as a Washington-based print journalist with the San Francisco Examiner and a columnist with the San Francisco Chronicle. He's a Pennsylvania boy, a veteran of the Peace Corps, and an unabashed liberal Catholic, but don't pigeonhole him as liberal. He routinely offers lengthy critiques on the Democratic Party and the state of the Left in America. But, hey. That's Hardball. We spoke by phone just days before the midterm elections, so I couldn't pass up the chance to talk Pennsylvania politics and the state of the union. 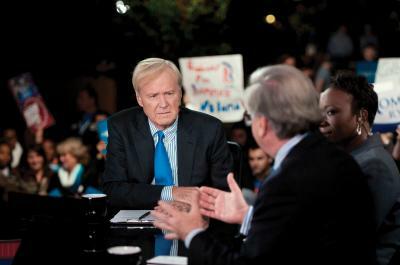 His first book, Hardball, changed the way mainstream America talked politics around the dinner table and it became the impetus for his MSNBC show of the same name, which has been on the air since 1997. In the book, Matthews wrote about politicians who have "the light," a sense of presence that dominates a room and transcends the airwaves. Reagan had it. Clinton had it. Obama had it. I couldn't help but ask him who in the current political consciousness might have "the light" in 2020. On Thursday, November 15th, Matthews will take the stage at the Gannon University Hammermill Center as part of the Jefferson Educational Society's Global Summit X. He'll talk national politics and the legacy of political dynasties like the Kennedys, whom he's written about in several biographical and comparative histories. His most recent book, Bobby Kennedy: A Raging Spirit, was released in 2017 to critical acclaim. 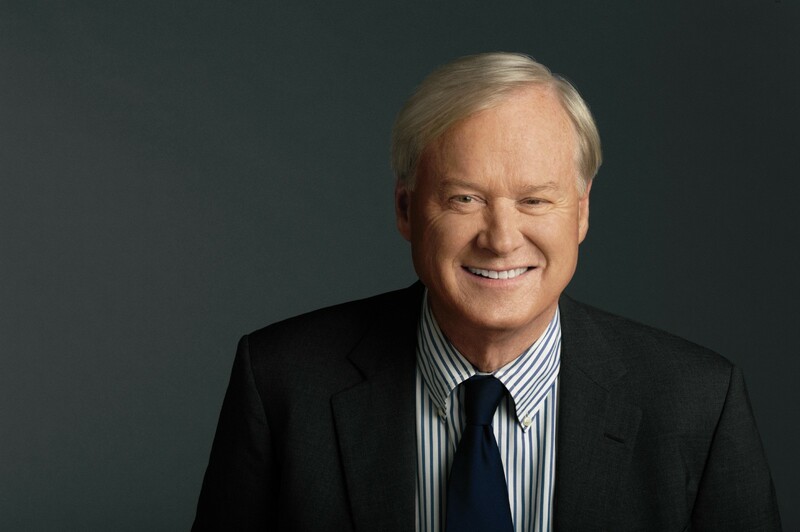 Assessing both sides of the political aisle through a discerning lens, Chris Matthews is not afraid to play hardball when discussing the state of our government. Jim Wertz: I try to be good at it as well [laughs]. I'll tell you what, Chris. Nobody's talking about PA 16, and this is the one that, this could be the big one. CM: Well I've been looking at polls that show DiNicola ahead. JW: Two weeks ago, the Democratic Congressional Campaign Committee had a poll that had him 2 points behind and now ABC in Harrisburg has a poll that has him four points ahead. So he's moving in the right direction in a really heavily Republican district. CM: Well my first note about this election is to think of the song from A Chorus Line. The song called, "One." Because I think when people vote, they're going to vote on one issue: What they feel about Trump. And I think that you only get one vote, and you're going to vote that way and you're going to try and use your vote to make a statement one way or another on Trump, and out West, and South, I think it's gonna be a Trump vote. But once you get to the Northeast, especially — but also in the 'burbs, all across the country — and then in the Midwest, I don't think it's going to be the leadership. It's not going to be Trump on the ballot. Who only won by less than a point in Pennsylvania, Wisconsin, and Michigan ... all three states, in each case, less than one. JW: He still has the 47 percent approval rating out here in Western Pennsylvania. CM: Well 47's alright. We'll see in the different cities where it's going to go. I think there's two waves, but I think the bigger wave's gonna be blue for the East. I think the West, I think it's tough to North Dakota, and Missouri, Tennessee, and Indiana...but then again, Hillary's not on the ballot. You could vote for Trump and against Hillary. This time, it's only the pull to Trump which isn't as strong. JW: I could do this with you all day, but I have a couple of questions that I want to get to for our audience. We're right on point here. We're in the middle of a pretty amazing, American political moment. Or a unique one, anyway. What do you make of the last couple of weeks here in the United States with what seems like increased violence, we've got this caravan moving towards the southern border and we still have five days until the election, therefore we're talking about this being ... a vote for or against Trump, then there's still room for a lot of things to change. CM: I think Trump figured out, when he ran for president, that people have a lot of resentment toward the political big shots, the elite, in both parties. The first thing he did was to defeat all the Republican establishment types, especially Jeb Bush. He just blew them away, because no one wanted to say "yeah" to that. Nobody wanted to say "yes" to the way two major parties were running the country. And again, with Hillary, she was sort of the face of the establishment, too. And I think he was able to just get people in the industrial states to give a modest endorsement to him. It was a very close call in Wisconsin, Pennsylvania, and Michigan. Very close, less than a point in each state, but he won! And to paraphrase Thomas Jefferson, democracy is the readiness to accept the majority, even if it's just one vote. JW: Did that give him a mandate to be able to carry on the rhetoric and keep the tone at an eleven? CM: No, I think he has to keep hyping up the temperature to keep the supporters that he has. In other words, he has to keep it hotter and hotter to keep them. He got them, but he can't keep them by just being the guy who got them. He has to be hotter all the time. To the point where this time he's talking about cop-killing immigrants. It's a constant process of getting used to the new America, ethnically. And I think that someone could always exploit that discomfort. And he did. And the Democrats, sadly — and I think this is very disappointing — they don't have a really clear immigration policy. They never talk enforcement. They did some deportation of course, a lot of it with Obama, but they never said, "here's our policy and we're happy with it. We believe the country should regulate it's immigration." They leave themselves open, and I think that's really given Trump a complete opportunity to exploit this thing. JW: In terms of the Democratic messaging, what do Democrats need to say to open this party back up and be all inclusive? CM: I mean they have to get the working class, white vote back again. I've been saying this all year — because of my book on Bobby Kennedy — that if you keep splitting the white working class in half on social issues, you're not going to win. You're not going to be a governing party in this country. It's clear that the Democrats are no longer the governing party. They're not. And they're not even close to the opposition party yet. They may be that by next week if they win the House, but they've gotta get control of something in the government and they should have the House next week. But, they can't just be a protest party. And that's what they're doing. JW: Who has that "Bobby Kennedy message?" Who has that spirit? CM: You have to sort of pull it out of them. The Democrats passed a very good comprehensive immigration bill in the Senate in 2013. It was only 5 years ago. It had provisions for the long-term road to citizenship but it also had provisions of toughening up the "verify," the requirement that employers have to know who they're hiring. And they got 12 Republican supporters. It just went over to the House, and it never got a vote over there because Boehner wouldn't bring it up because he was afraid it would pass. They got very close to getting something done, which would have calmed things down and given people confidence that their government does have a border and it is enforcing it. But right now they don't have that confidence and Trump's exploited it. You know, he just has. JW: Who, in your opinion, has "the light" going into 2020? CM: I'm watching Joe Biden. I know everybody says the age thing, but I don't know. There were other people in history who've had a hard time and all of a sudden they zoom right up there. Reagan ran for president three times and it clicked, and he was almost 70 when he went into office. People are getting older, and voters are older, the concerns of voters are for older issues like Medicare — Social Security especially. I wish the Democrats were smarter in jumping this year on what Mitch McConnell said, going after those programs. In the old days, when I was working for Tip O'Neill, I jumped on those things. We hit those hard before an election. We never let the Republicans get up once they made that mistake, going up against Social Security. Today these guys are so sophisticated, why didn't they jump on it? I don't get it. McConnell came out and said "let's cut Social Security, Medicare, and Medicaid," and the Democrats didn't even react. By the way, exactly what I said, is why Trump wins in Pennsylvania. Because he doesn't touch Social Security, Medicare, or Medicaid, and he's for jobs. In so many ways, his policies parallel those of Bobby Casey, and of [Ohio Senator] Sherrod Brown. And on trade too. It's so interesting because trade is jobs. I'm telling you, he is just as smart as those regular Democrats. It's the other people, the elite, that don't get it. And that's the way it should be, because the elite shouldn't know what's going on [laughs]. Why should they know what's going on? They've got no connection, no experience. JW: The realities are different from the perceptions. The country is increasingly divided. What do we look like as a nation in say 2028 after we get through another couple of tough presidential cycles? CM: Well, the country is ... I don't know. Bob Casey Sr. once said that Pennsylvania was a John Wayne state not a Jane Fonda state [laughs]. And that's true, but that lets it lie too much in the past. That's too easy to do something like that, to say something like that. You've got to be open to the future for minorities and kids, and you've got to be open to the fact that there are challenges out there that weren't around before these kids. The cost of college now — these are Promethean amounts of money that people have to look at. It's debt. So they don't like the word "capitalism." I understand, because capitalism means "I owe money." So Bernie [Sanders] comes along and says "we're gonna get everything free" and "Medicare for life" and all that stuff, and I think the appeal is yeah, I get it, because I don't get any other way of figuring it out. The only thing about minorities that I've come to understand — I learned this in North Philadelphia one morning — with Barack Obama. He says, "we've go to unite this country. We've go to bring people together," and they went crazy. Because, I've got to tell you this, for all the talk about welfare and all this stuff, the one thing that minorities want are the things I mentioned before — Social Security and a job for their kid — and real American acceptance. 100 percent. JW: I hear that all the time. The city of Erie is 20 percent New American and 17 percent African American. There's no greater mantra in this community than they just want opportunity, and to participate. CM: 100 percent American. They want to be equal and accepted, as Americans. After all these centuries of hell, it still comes down to that — just let us in. JW: When I tell the story of Erie, I tell everyone that it's no different today than it was back in 1890 when their Russian grandparents, and their German grandparents, and Irish came here to do the same thing. CM: It's inspiring. And it's consoling to know that the bitterness ... that it's still deal-able. There's no bitterness that can't be dealt with. There are some radicals out there, but I'm not going to worry about them. Jim Wertz is a contributing editor and Chairman of the Erie County Democratic Party. He can be reached at jWertz@ErieReader.com and you can follow him on Twitter @jim_wertz.